Minister for Chieftaincy and Traditional Affairs, Dr. Henry Seidu Dannaa has condemned the gruesome murder of two African-Americans by unknown assailants at Akosombo in the Eastern Region. He expressed happiness that chiefs in the Akwamu Traditional Area were helpingthe law enforcement agencies to find the culprits. So far five people, including a fetish priest, have been arrested in connection with the incident. Dr. Seidu Dannaa, who was speaking at a press conference in Accra last Friday, said murder is a crime which should be punished by the law, appealing to the Ghana Police Service to speed up investigations to ensure that the culprits are brought to book. He said the arrest of the culprits would deter others who have such diabolic plans. “Ghana is a peace-loving country that is why she was the first country to welcome back our relatives from the Diaspora. It is rather unfortunate that this gruesome murder has occurred. Let nobody confuse criminality with chieftaincy. Crime must be punished and I’m happy that the chiefs there are helping to get to the bottom of this. I’m appealing to the police that they should speed up so that we punish the culprits and like-minded people are not encouraged to do a similar thing,”he said. 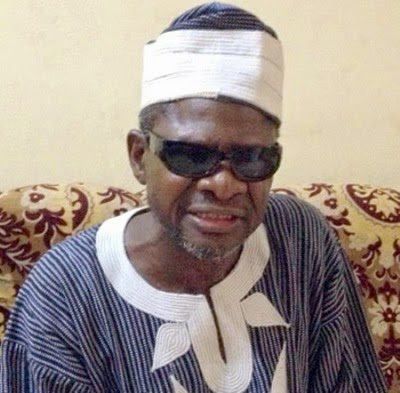 The deceased – Mamelina Diop, 75, and Nzinga Khaliya Janna, 69, reportedly posed as chiefs illegally under an unregistered traditional council called ‘Fihankra Traditional Council’ and were ordered by the Ministry of Chieftaincy and Traditional Affairs to stop. “All we are saying is that we must at the same time respect the laws of Ghana. The Fihankra constituency started in the 1970s but it is because of the running of the traditional council that started this. In the earlier report, it mentioned that the minister for chieftaincy accused one of those killed by those murderers as if there is a link, but what I’m saying is that there is no link between what we did and the gruesome murder. We are a ministry implementing our chieftaincy act, making sure that every traditional council in Ghana is registered,” Dr. Daannaa stated. He disclosed that his ministry was not in anyway supporting any of the parties in the issue before the murder of the African-Americans, adding that “let’s distinguish crime from chieftaincy. “The true story should be told that the ministry wasn’t supporting anybody in the issue. What we are saying is that you can’t have an unregistered traditional council in Ghana. But if somebody should go and take somebody’s life that is criminal. We have chieftaincy disputes all over Ghana, does that give you the right to take somebody’s life?” he quizzed. The Ministry supervises 10 regional houses of chiefs, the national house of chiefs and over 270 traditional council in Ghana. It is mandated to ensure that traditional festivals are well organized to showcase the rich tradition. The ministry has been tasked to ensure that chieftaincy institution contributes to the socio-economic development of the country.